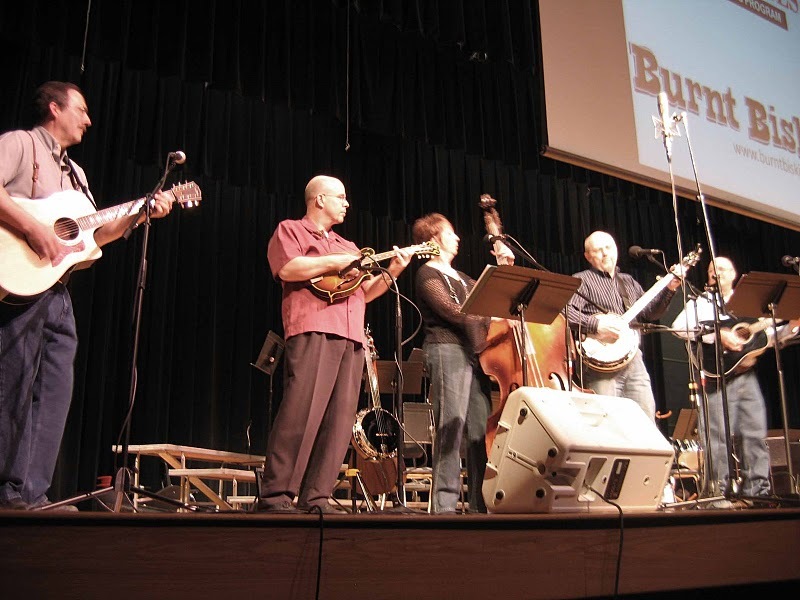 Burnt Biskits is a musical group from Lincoln, Nebraska, consisting of a number of musicians who join us on recorded projects and on stage. The regular BISKITS are musicians John Pierce, Janice Jillson, Gary Hinkley, Susanne Hinkley and Steve Jensen. The Burnt Biskits concept is an “open floor plan”. This means we intend to keep the composition of the group flexible in an attempt to share with you the talents and styles of our many musical friends. 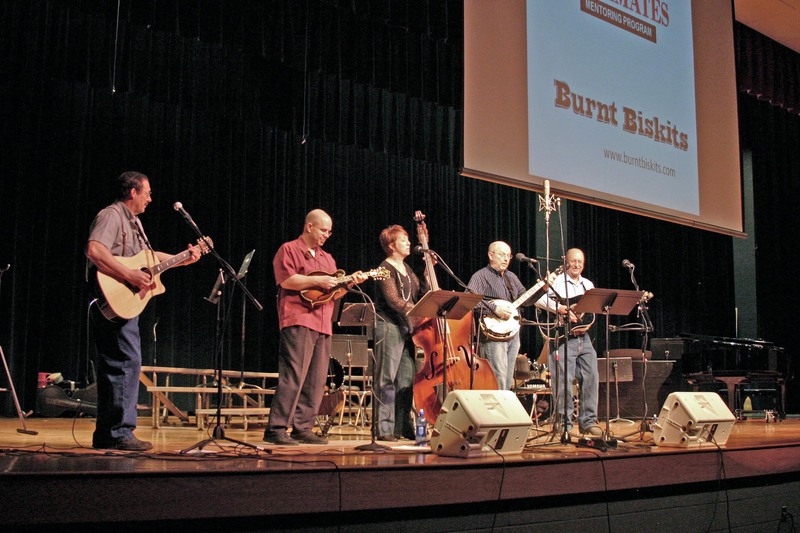 The primary genre and instrumentation of Burnt Biskits is bluegrass including guitars, banjo, bass and mandolin. In addition to standard bluegrass, we enjoy presenting musical comedy, old-time gospel, folk and oldies rock-n-roll. 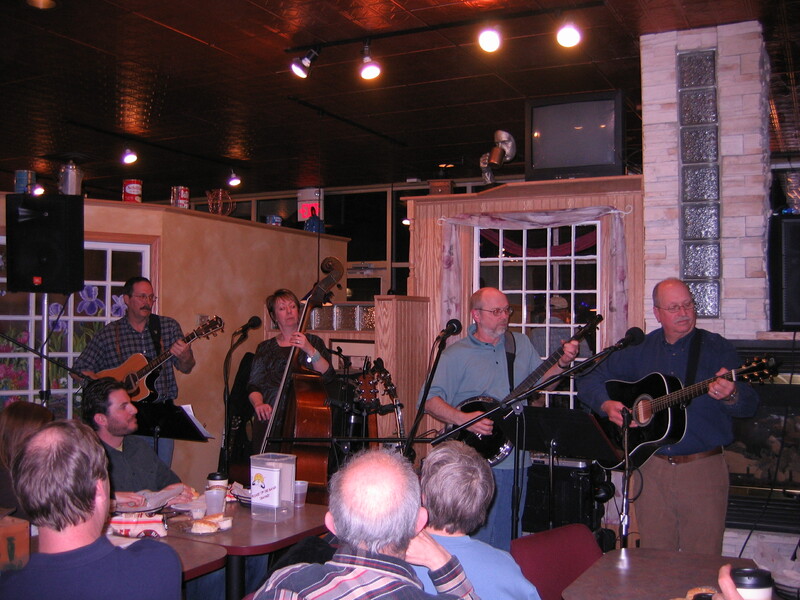 We perform a number of original tunes, as well as familiar favorites. 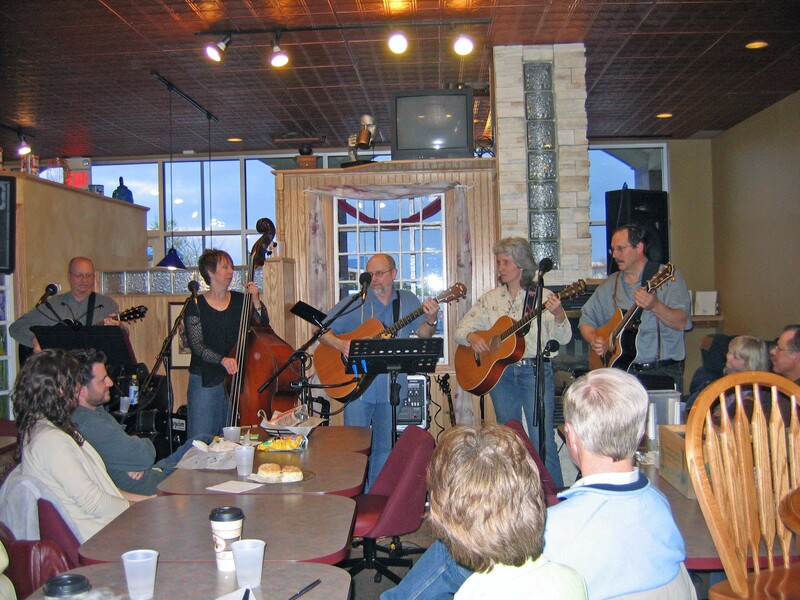 Our primary objective at every performance is to have fun: both for us and for our audience. Burnt Biskits performing in Milford, Nebraska with guest mandolinist David Miller (in the red shirt). 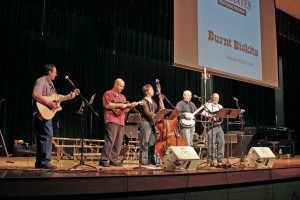 Burnt Biskits performing for a fund-raiser for TeamMates mentoring program.